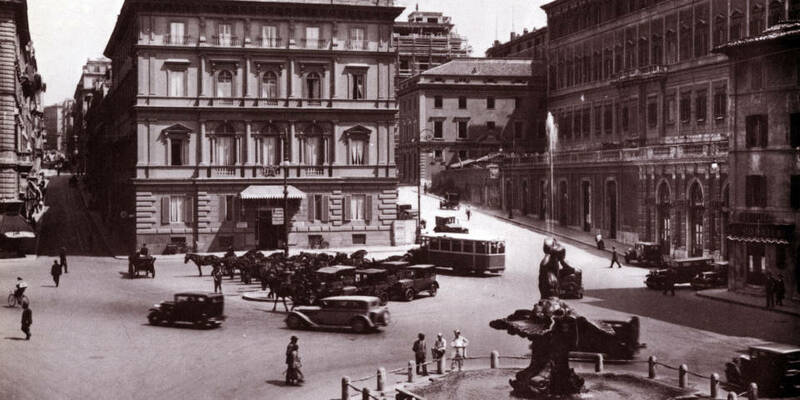 Piazza Barberini named after the aristocratic Renaissance-era family to whom Palazzo Barberini belonged. 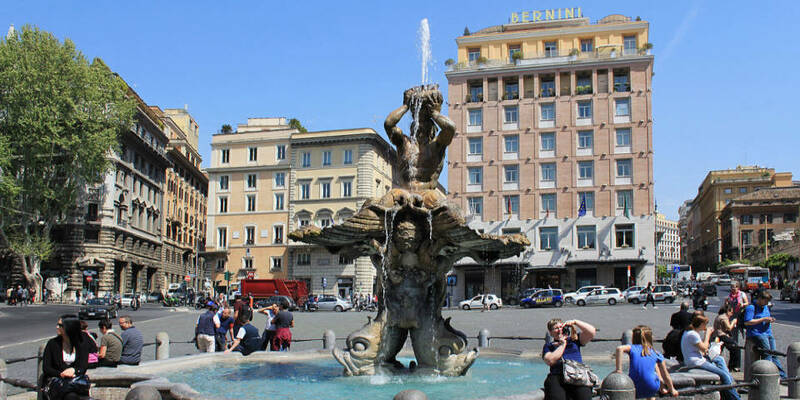 Famous two fountains by Bernini located in the square and it is surrounded by luxury hotels, restaurants and bars. The Piazza Barberini was built in 1625 on the orders of Cardinal Francesco Barberini. The square located at the end of Via Veneto. One of the Barberini sons was pope Urban VIII and the family had especially high status in 17th-century Rome. In the 18th-century, Piazza Barberini contained lots of populated arts of Rome. There were many villas in the area between the square and the Aurelian walls, were the largest one was Villa Lodovisi. However, in the late 19th-century, villas were replace by modern quarters that we see nowadays. 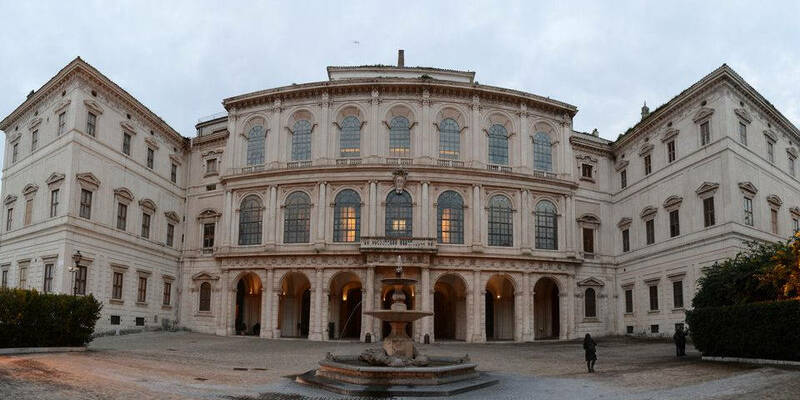 A short distance from the square is the Barberini Palace (Palazzo Barberini), a Baroque palace with the Museum of Ancient Art (Galleria Nazionale d’Arte Antica) inside. Construction of the palace started in 1627 by architect Maderno with his nephew, Borromini, as an assistant. Maderno died in 1629 and the construction was continued by Bernini, who completed the palace in 1633. There are two fountains by Gian Lorenzo Bernini located in the square. The Fountain of Triton (Fontana de Tritone) was sculpted in 1643. There are four dolphins that hold an open clam upon which a Triton, god of the sea, sits and blows water from his horn. The masterpiece is made of travertine and is considered as one of the most notable Bernini’s works. Fountain of the Bees (Fontana delle Api) is one of Bernini’s modest works. It was built in 1644 in honor of Pope Urban VIII and is decorated with large bees, which are the symbol of the Barberini family. The fountain located right near the Piazza Barberini, at Via Vittorio Veneto. 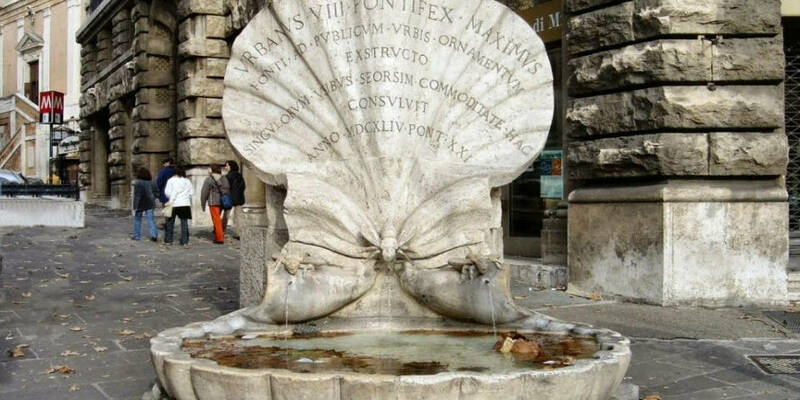 Moreover, there is a Latin message which reads that the fountain’s water is for use of the public and their animals. Barberini Hotel has spacious air conditioned rooms, where certain accommodations include a sitting area for you to relax. Moreover, there is a private bathroom in each room with bathrobes, free toiletries and a hair dryer. 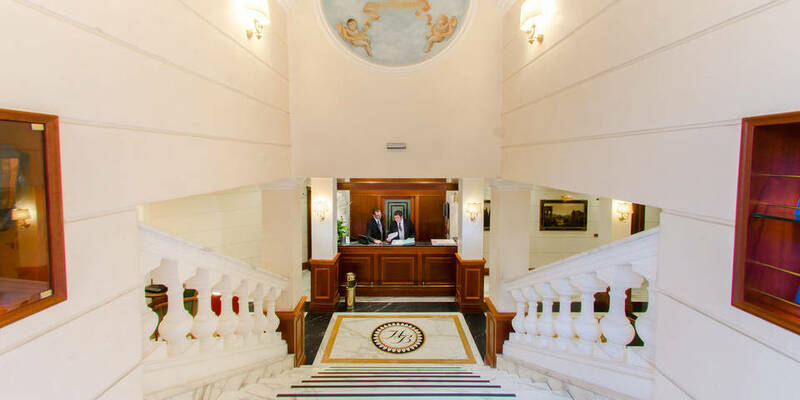 The hotel is beautiful and will be a nice choice for travelers interested in shopping, Italian culture, and food. 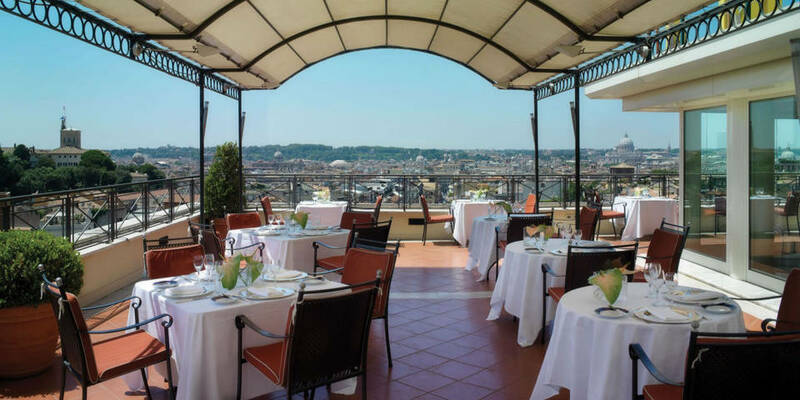 Sina Bernini Bristol Hotel features the rooftop terrace with a Michelin-starred chef, hot tub, and unique views of the historic center. Moreover, the hotel dates back to 1874 and has spacious, individually designed rooms, furnished in a period style. Most rooms offer views of Piazza Barberini. Piazza Barberini located in lively area of the Eternal City. You can stay in one of its luxurious hotels with rooftop terraces and enjoy dinner or drink in one of its restaurants and bars. For me, this is one of the best parts of the city. 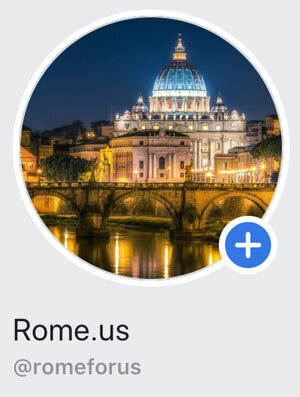 What is your favorite part of Rome?